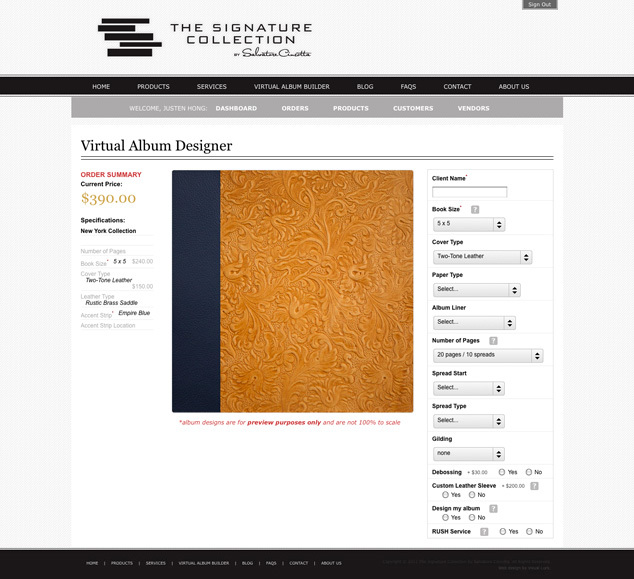 Visual Lure recently launched The Signature Collection website. The Signature Collection is an online photo/wedding album company that was the brainchild of Salvatore Cincotta. Sal is an international award winning photographer who felt the market was lacking a user friendly photo album solution, so we helped him develop a website that was easy to use, easy to order from and easy to upload images to once the order was placed. We modeled many of the store’s features after Apple’s platform with real time pricing, sliding previews and more. 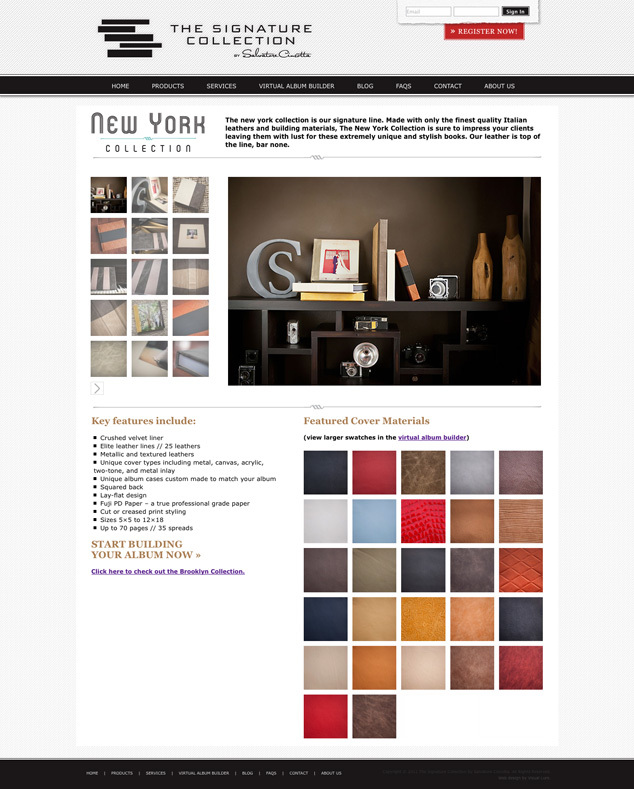 The front-end of the website is built in WordPress so that their staff can easily maintain those sections, and the store, along with the Virtual Album Builder were built in PHP with a fully custom admin section. The Virtual Album Builder allows registered users to build their albums online with a preview of the product and real time pricing. Check out the new website at www.scalbums.com.